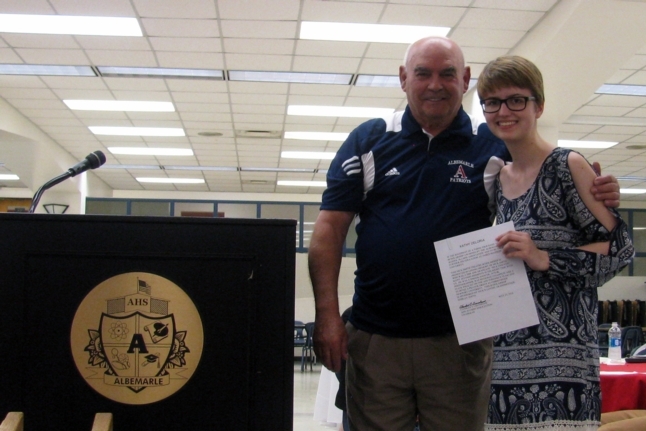 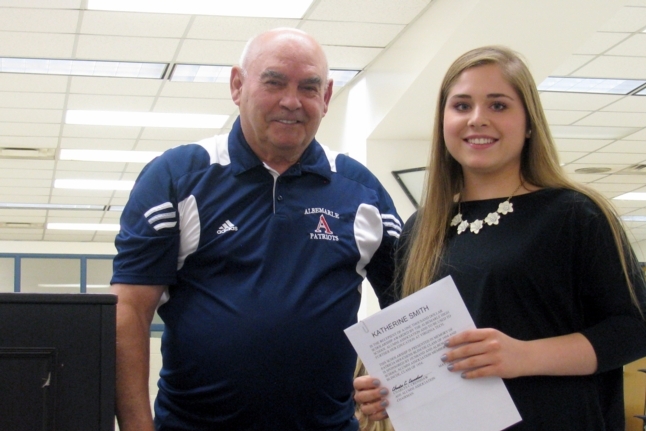 The Albemarle High School Alumni Association had another successful year with its Scholarship Program. 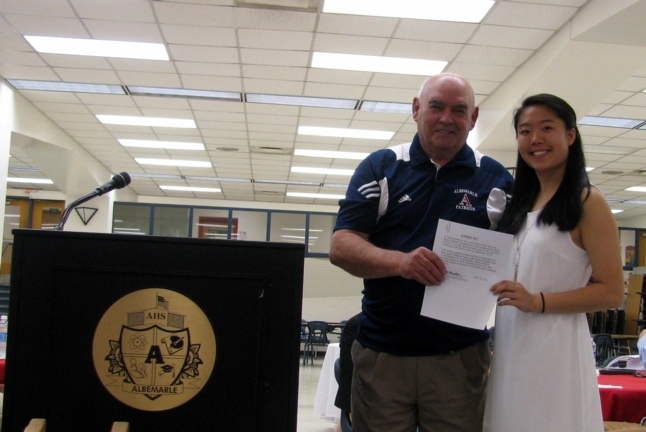 The Association awarded 7 scholarships ranging from $1,000 to $3,0000 for a total of $9,000 at the Albemarle High School Senior Awards Night Program in May 2016. 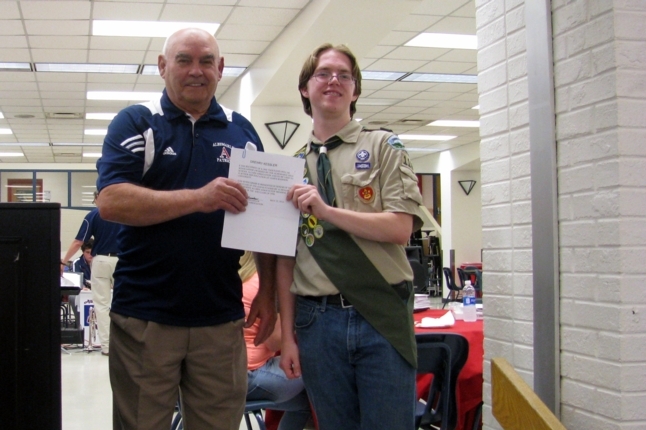 Thank you to those who contributed to our scholarship fund that make these scholarships possible. 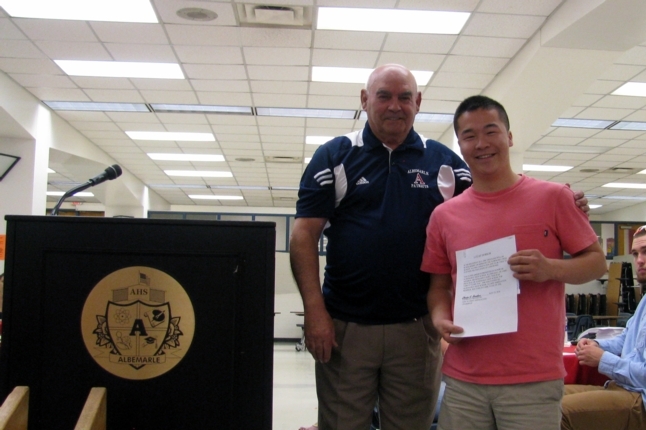 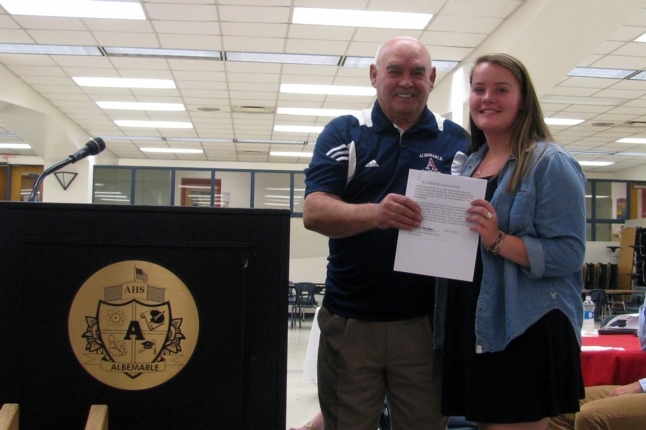 Since being organized in the Fall of 2008, the AHS Alumni Association has awarded 47 Scholarships totaling $45,500. 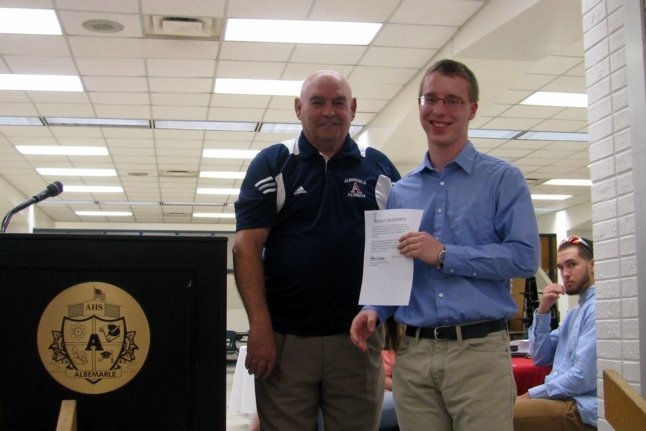 Our goal is to continue building a strong Scholarship Program.